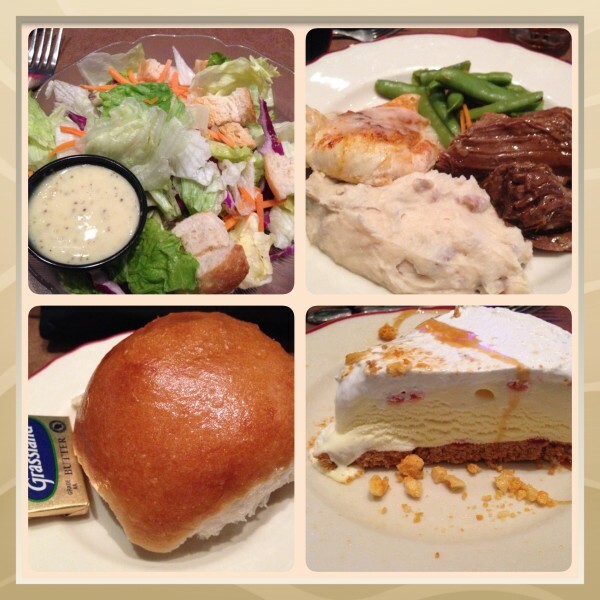 Disclosure: I have been invited to Branson, MO by US Family Guide Blogger Network and Explore Branson to experience some of the attractions. All opinions are my own and may differ from yours. 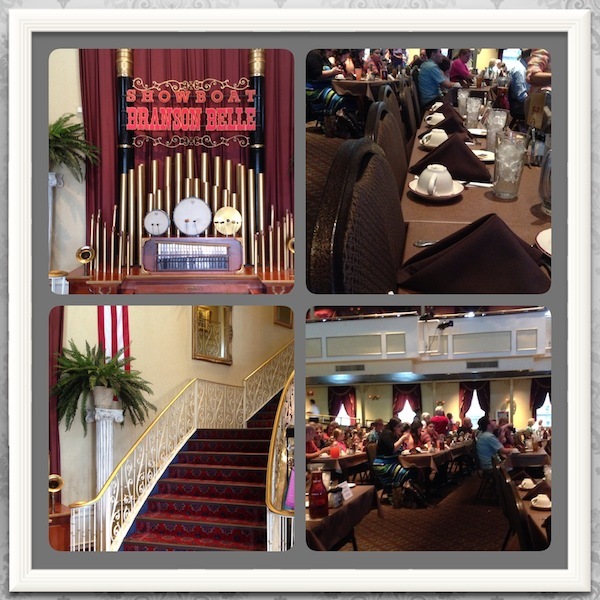 When we were invited on #ExploreBranson trip in Branson, MO, I was excited that the Showboat Branson Belle Dinner Cruise was on the itinerary. I have always wanted to go and didn’t get the chance the last time we were in Branson. The Showboat Branson Belle is a 2 hour dinner cruise owned by the Herschend Family, that cruises on Table Rock Lake. You receive a 3 course meal while watching comedian and magician, Christopher James, listening to dinner music performed by the Rockin’ Dockers and watching the only violin playing aerialist, Janice Martin. We boarded the boat about a half hour before the show was scheduled to start. A photographer took our picture as we entered and were available after dinner for purchase. We sat down in our assigned seats and waited for the show to begin. 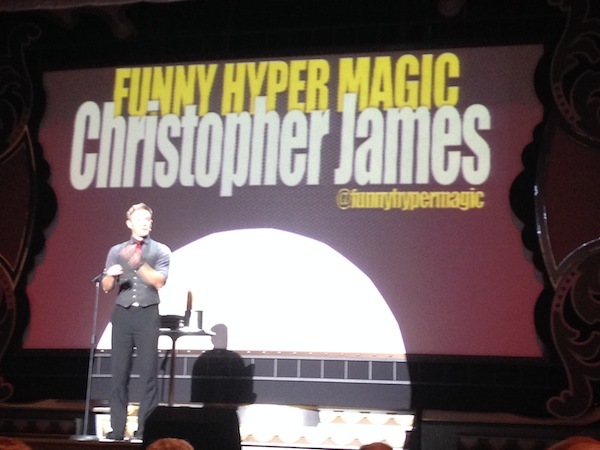 It started off with comedian and magician Christopher James, who by the way was absolutely amazing. I always wonder how they do those magic tricks. He did a rope trick as we were being served our salads and dinner rolls. The main course was then served which consisted of slow simmered Beef Roast which melted in your mouth, Honey Dijon Glazed Chicken, sugar snap peas and garlic mashed potatoes. The Rockin’ Dockers played dinner music while we ate. We were served dessert, Golden Brittle, Lemon Berry Torte, which was a frozen dessert. All the food is prepared in the ship’s galley which they start making at 7:00 am. 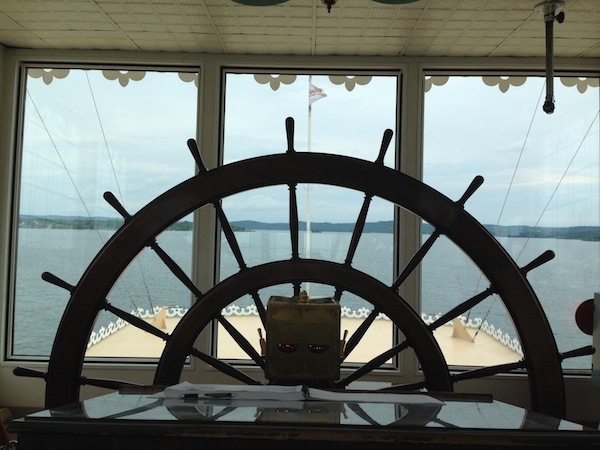 Premium seating options are available in the Paddle Wheel Room which overlooks the paddlewheels. There was a short 15 minute intermission that allowed us to tour the Showboat Branson Belle. There are 4 decks with the Captain being on the top deck. The Showboat has stunning features throughout the ship, including the bathrooms with chandeliers hanging above each stall. We were able to visit the Captain and ask questions about them and the Showboat. The Showboat was christened on April 13, 1995. It is 278 ft. in length and 78 ft. wide. It is 112 ft. 3 in. to the top of the stacks. 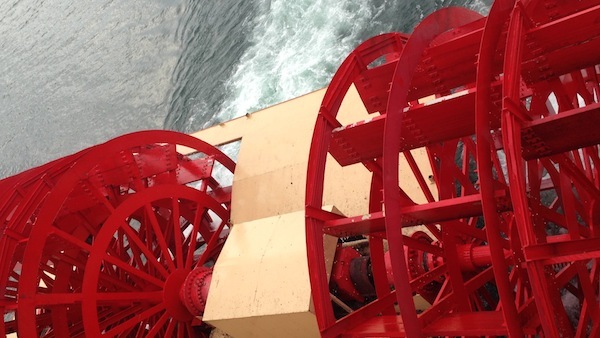 The Paddle Wheels are twin wheels each 16 ft. wide by 24 ft. in diameter. The average speed is 6 mph with a top speed of 11 mph. The Captain’s wheel is 10 ft. 2 in. in diameter made of solid maple wood and was originally on the CC Slider which was in service from 1928-1952. The most impressive statistic to me is that it was built on land and slid into Table Rock Lake on……bananas! Yep, you read that right, bananas! 2 tons of bananas were used to lubricate the 140 foot launch ramp. It went 14 mph down, the fastest it ever has gone and will go. 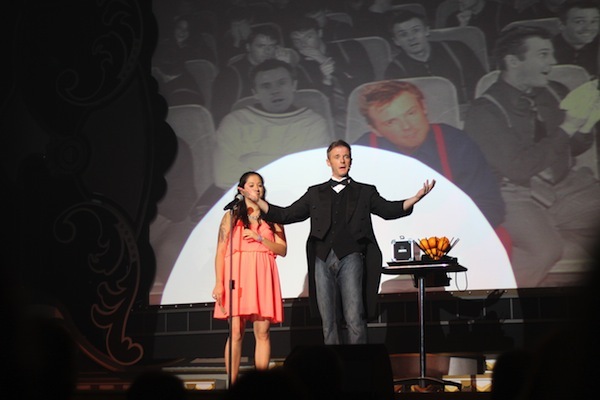 When we returned to the show, Christopher James put on an awesome show where he had a volunteer from the audience, a $1 bill and an orange. He ripped the $1 bill in half, they each signed the back of the bill, hid one in an envelope and turned the other half into a small knife. He somehow ended up placing the ripped $1 half into an uncut orange. Amazing! 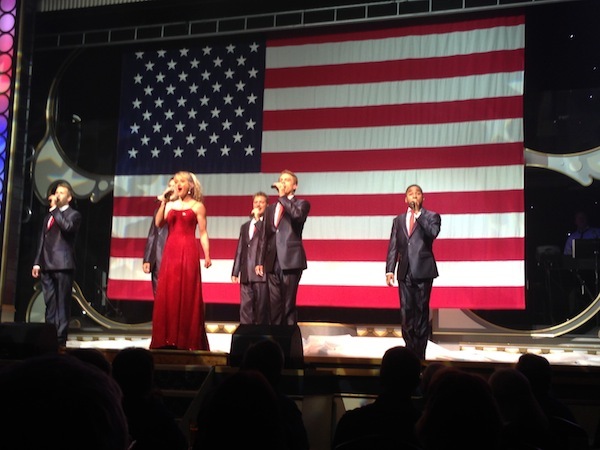 We then watched the ShowMen sing and dance to all American music in the “Made in the USA” Blue show. They sang a Motown mix of music which sounded just like the original artists. We had the pleasure of seeing the only aerial violinist, Janice Martin. Her violin playing was mesmerizing and filled the theater with wonderful sound. Her aerial acrobatic show kept us on the edge of our seats with her twist and turns. 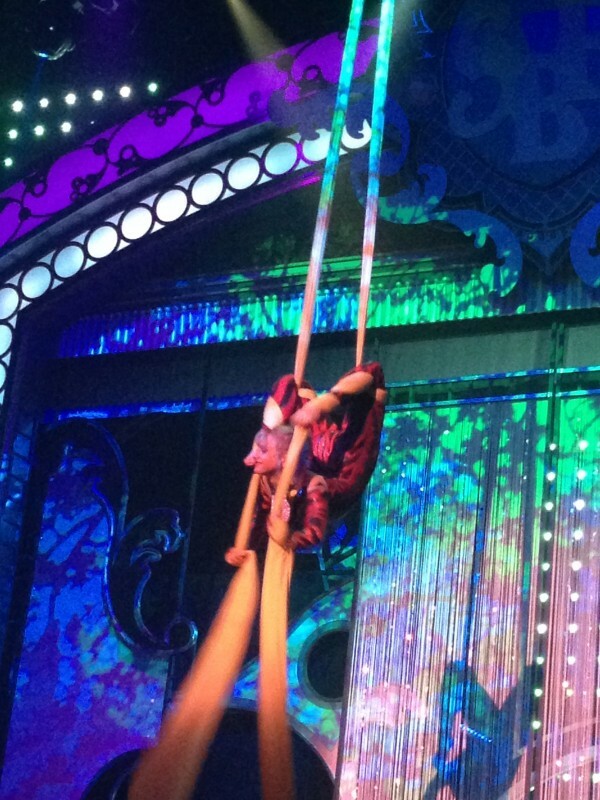 She is the only person that can play the violin…upside down, suspended in mid air. One of the show’s finishing acts was Christopher James in a straight jacket, which by the way, he was able to escape from. Followed up by the ShowMen singing a few songs along with Janice Martin. The show was amazing in it’s entirety and we are so glad that was on our list of shows. 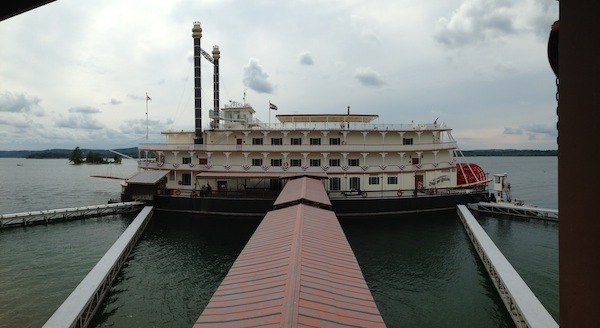 I highly recommend that the Showboat Branson Belle is on your list if you are making a trip to Branson. You find the complete show schedule and times on the Showboat Branson Belle website. Connect with Silver Dollar City Attractions on Facebook and Twitter. Wife, mom, grandmother, daughter, professional writer and blogger loving and living life to the fullest. Love to travel and share life's not so perfect moments with my readers. Be sure to check out all posts by Mary Walker and subscribe via RSS or EMAIL so you don't miss a thing! My niece was a performer in Branson before she got married. looks like fun! Great activities and stuff to see! I would love the aerial acrobatic show. So amazing how they can do all these moves. Very fun to watch. Would love to go out on a boat experience like this. What a fun experience! The dinner, performances and boat ride combination is fantastic. It is kind of like a mini cruise. That looks like so much fun! I’d love to go on a showboat.